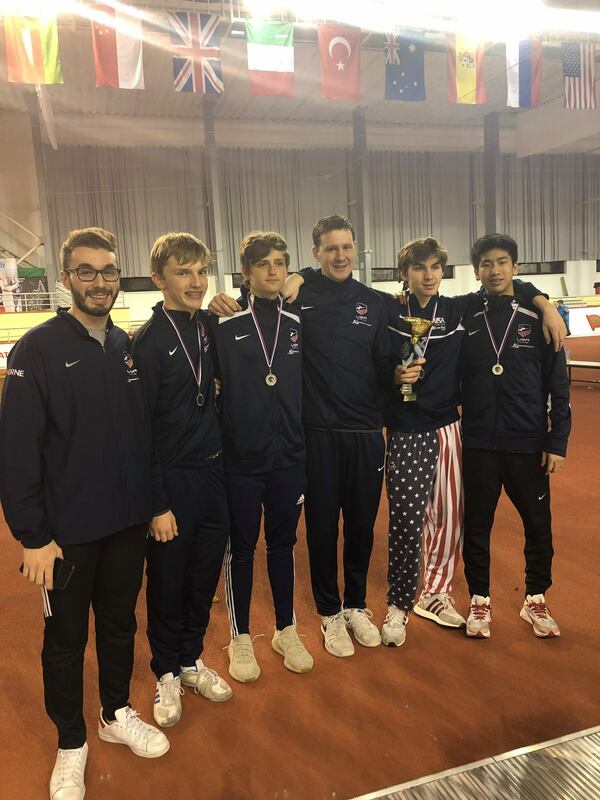 Congratulations to our coaches and students for great fencing at the 2019 Junior Olympic National Championships and outstanding achievements for the season! 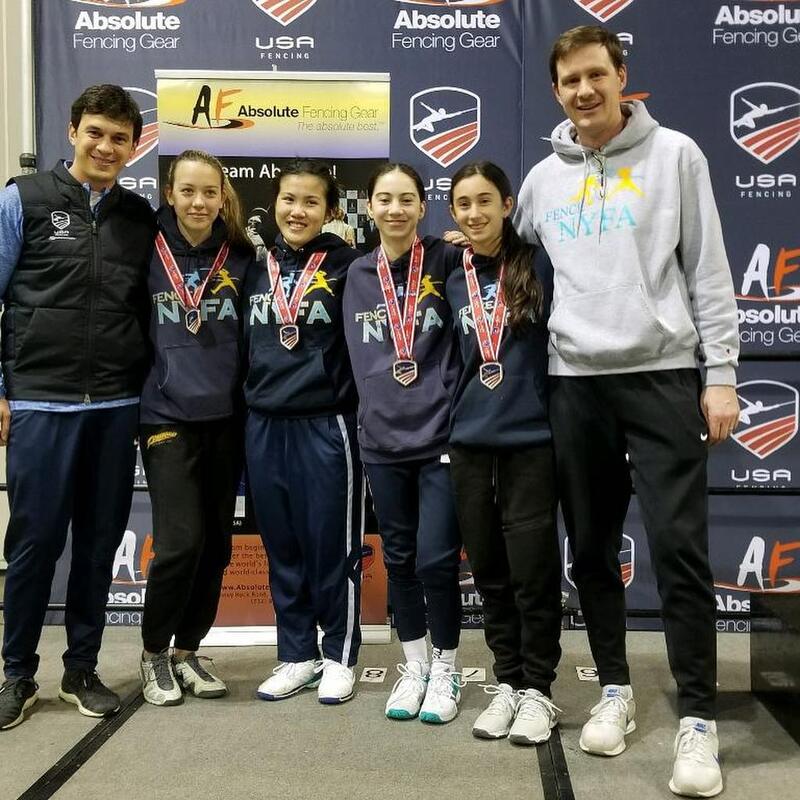 Isabella Chin – 18th in Cadets – beautiful fencing, undefeated in pools, lost DE to teammate Jackie Khrol. 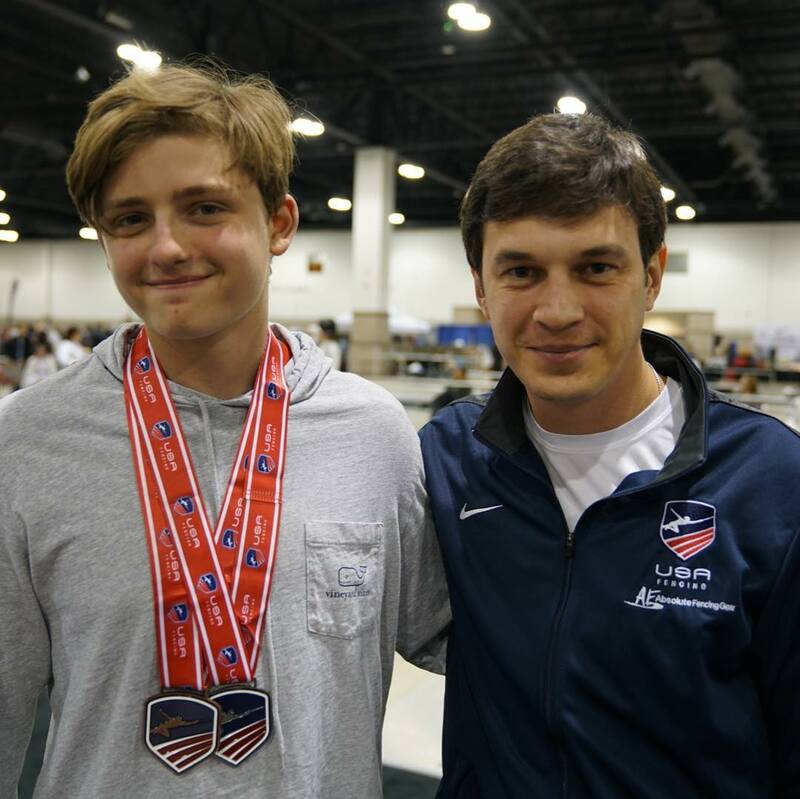 We’re very proud of Skyler Liverant for making the USA Cadet National Team! Skyler is still Y14 which makes his achievement even more outstanding! Congrats to all Team USA and good luck at World Championships in Poland! We also want to recognize Jaclyn Khrol for her outstanding season! 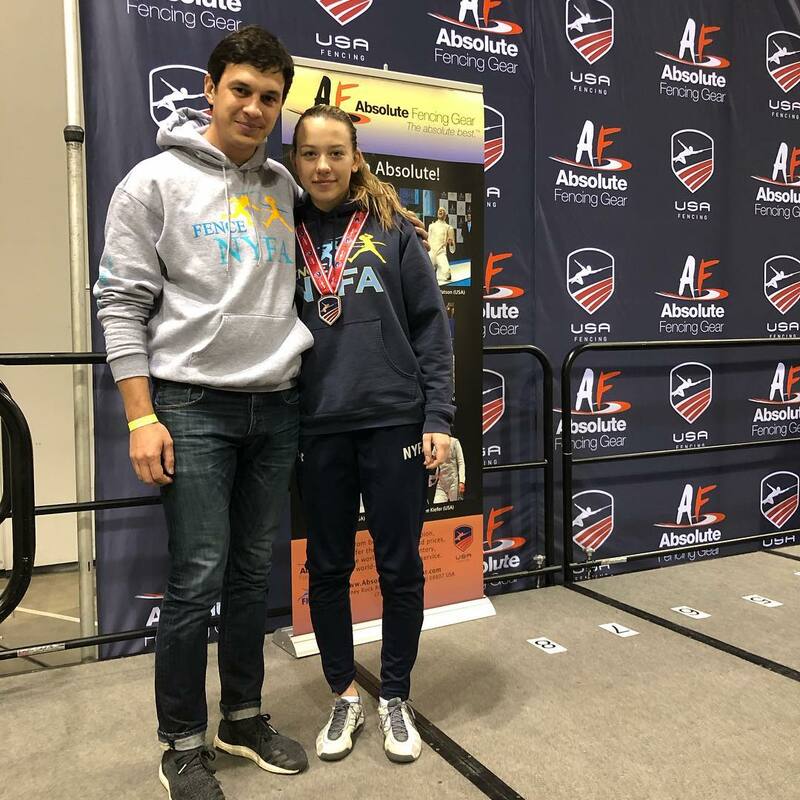 Even though she finished one spot away from World Team in Cadets and Juniors, she had her best season ever and her results included: 9 National Medals including 3 top 4 finishes in Juniors, 2 top 32 results in Junior World Cups, Top 16 in Cadets World Cup! 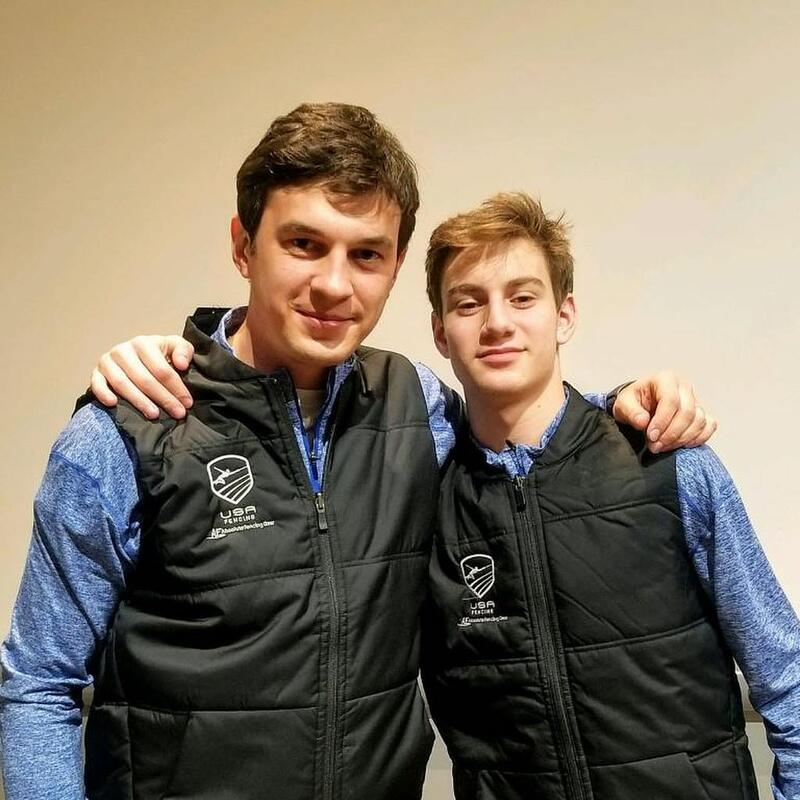 Keep working hard and next year we will make The USA Team! 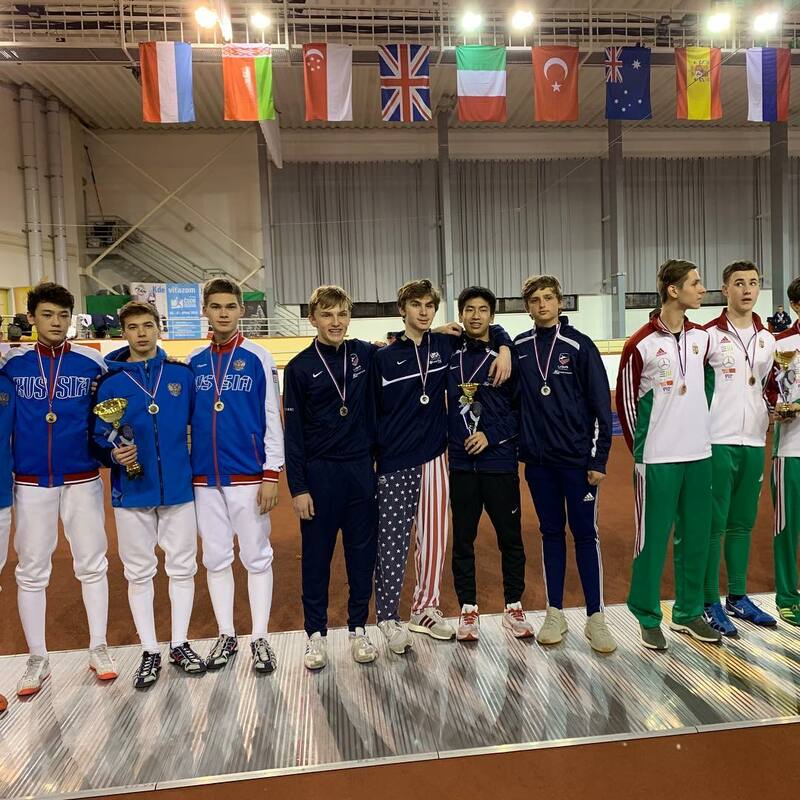 Congratulations to NYFA athletes, Jaclyn Khrol and Ethan Kushnerik, and to Coach Sergey Danilov, for taking Silver in Women’s and Men’s Cadet Team Epee at the Bratislava World Cup! 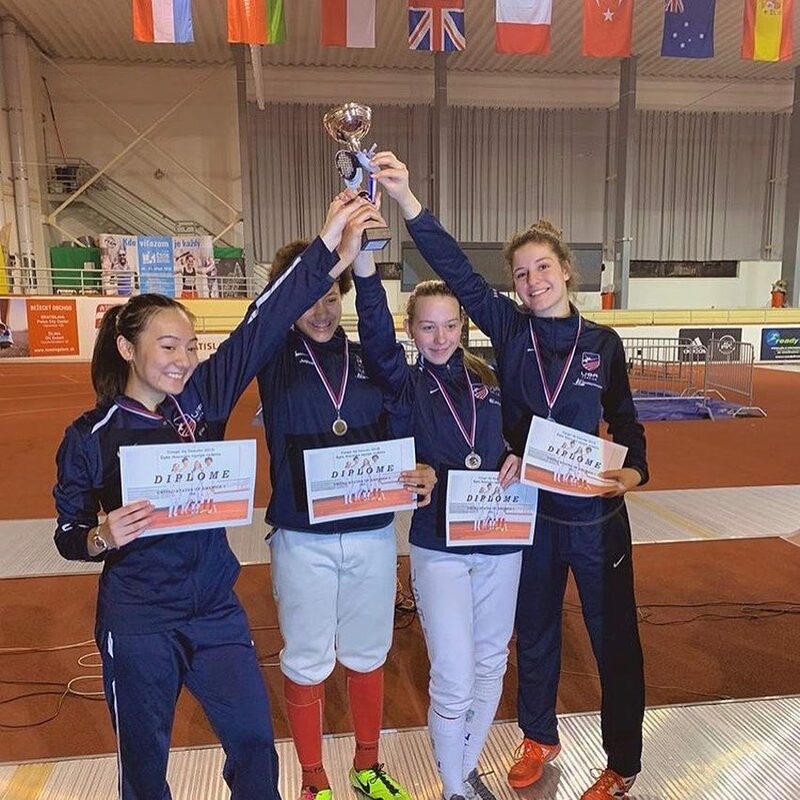 Great job all – fencers, coaches and parents. Go Team USA! Go NYFA! Thu & Sun: by appt.